My laboratory is interested in the molecular changes that occur at synapses in response to experience. We have focused on proteins associated (either directly or as downstream targets) with the NMDA subtype of glutamate receptor, an important mediator of many forms of synaptic plasticity and learning in mammals. We utilize a combination of approaches ranging from molecular biology and biochemistry to cell biology, imaging, and mouse genetics to address the following aspects of synaptic modification. Spines are small, actin-rich dendritic protrusions that form the sites of excitatory synaptic input in the mammalian CNS. Spines uniquely exhibit morphological rearrangement in response to activity and therefore have been proposed to represent structural correlates of long-term information storage. We have identified a key actin regulatory protein, SPAR, which associates with NMDA receptors and promotes dramatic enlargement of dendritic spines. We are currently testing the hypothesis that SPAR is required for activity-dependent growth of spines, and that this augmentation is important for memory formation or stabilization in vivo. Because strength of synaptic transmission is intimately related to the density of synapses on a neuron, synaptogenesis and synapse loss are both expected to play important roles in controlling activity levels. We are studying an activity-inducible serine-threonine kinase of the polo family, SNK, which triggers synapse elimination via the phosphorylation and ubiquitin-mediated degradation of key postsynaptic proteins, including SPAR. We are generating mutants in SNK to determine the involvement of this kinase in various paradigms of synapse turnover: during neurodevelopment (e.g. â€œpruningâ€? ), learning (information editing), and in neurodegenerative disorders that are often characterized by excessive synapse loss. It is well established that protein kinases including protein kinase C (PKC) and cAMP-dependent protein kinase (PKA) play critical roles in NMDA receptor-dependent synaptic plasticity. However, the organization of these signaling microdomains remains unclear, particularly at glutamatergic synapses. Using yeast two-hybrid and biochemical approaches we are undertaking the identification of novel scaffolding and targeting infrastuctures for PKC and cAMP metabolic/responsive enzymes situated in molecular proximity to the NMDA receptor. A long-term interest of the lab is to understand at the proteomic level how synaptic stimulation alters synapse content. Following chemical bath applications to mimic particular patterns of synaptic activity, we are using combined biochemical purification of postsynaptic densities and microarray analysis to characterize two aspects of synaptic plasticity: the ensemble of proteins that rapidly translocates into synapses and may contribute to short-term plasticity, as well as the de novo gene expression that occurs on a longer timecourse that contributes to long-lasting synaptic modifications. André EA, Forcelli PA, Pak DT. What goes up must come down: homeostatic synaptic plasticity strategies in neurological disease. Future Neurol. Feb;13(1):13-21, 2018. Dunn R, Queenan BN, Pak DTS, Forcelli PA.. Divergent effects of levetiracetam and tiagabine against spontaneous seizures in adult rats following neonatal hypoxia. Epilepsy Res. Feb;140:1-7, 2018. William Rebeck G, Pak DTS. A mobile APP for sharing contacts on your cell: An Editorial Highlight for 'The physiological role of the amyloid precursor protein as an adhesion molecule in the developing nervous system' on page 11. J Neurochem. Oct;143(1):9-10, 2017. Lee Y, Lee JS, Lee KJ, Turner RS, Hoe HS, Pak DT. Polo-like kinase 2 phosphorylation of amyloid precursor protein regulates activity-dependent amyloidogenic processing. Neuropharmacology. 117:387-400, 2017. Song JM, Sung YM, Nam JH, Yoon H, Chung A, Moffat E, Jung M, Pak DT, Kim J, Hoe HS. A Mercaptoacetamide-Based Class II Histone Deacetylase Inhibitor Increases Dendritic Spine Density via RasGRF1/ERK Pathway. J Alzheimers Dis.51(2):591-604, 2016. Queenan BN, Lee KJ, Tan H, Huganir RL, Vicini S, Pak DT. Mapping homeostatic synaptic plasticity using cable properties of dendrites. Neuroscience. 315:206-16, 2016. doi: 10.1016/j.neuroscience.2015.12.017. Epub, 2015. Lee NJ, Song JM, Cho HJ, Sung YM, Lee T, Chung A, Hong SH, Cifelli JL, Rubinshtein M, Habib LK, Capule CC, Turner RS, Pak DT, Yang J, Hoe HS. Hexa (ethylene glycol) derivative of benzothiazole aniline promotes dendritic spine formation through the RasGRF1-Ras dependent pathway.Biochim Biophys Acta. 1862(2):284-95, 2016. doi: 10.1016/j.bbadis.2015.12.007. Epub, 2015. Lee KJ, Lee Y, Rozeboom A, Lee JY, Udagawa N, Hoe HS, Pak DT. Requirement for plk2 in orchestrated ras and rap signaling, homeostatic structural plasticity, and memory. Neuron. 69:957-73, Mar 10 2011. Dumanis SB, Cha HJ, Song JM, Trotter JH, Spitzer M, Lee JY, Weeber EJ, Turner RS, Pak DT, Rebeck GW, Hoe HS. ApoE receptor 2 regulates synapse and dendritic spine formation. PLoS One. 6:e17203, Feb 15 2011. 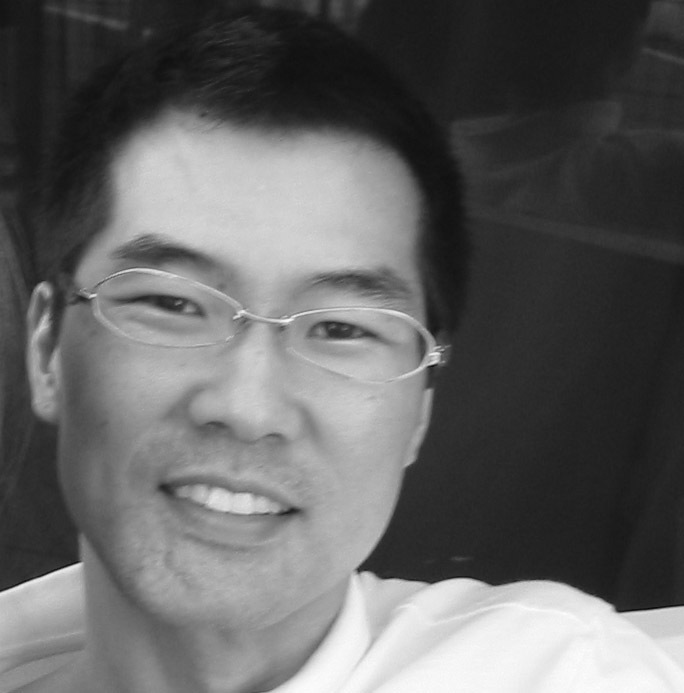 Click here to do a Medline Search for all publications of Daniel Pak.